Based on sales numbers, Janet English earned the No. 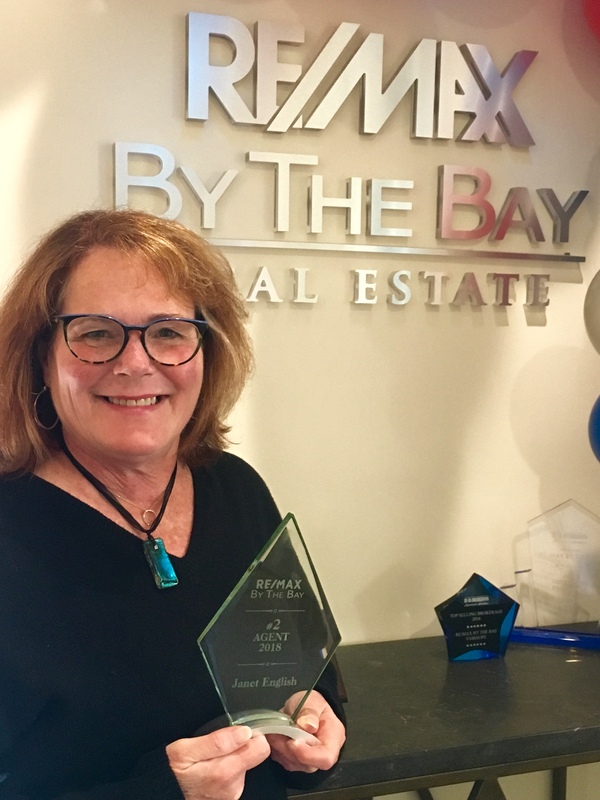 2 spot at RE/MAX By The Bay, which has offices in Daphne and Fairhope, Ala.
English, who left print journalism to start her real estate career in 1998, is a perennial in the Top 10 at this brokerage. In 2009, she earned induction into the RE/MAX Hall of Fame. "I love what I do," she said. "I've met so many friends and hope to continue to help folks get to their next destination." Twenty years later, Spanish Fort home prices have risen 86%; Fairhope, 103%. (I can’t give you Daphne’s since along the way, Lake Forest was folded into the statistical mix). I have these pricing figures stored in a stack of newsletters that I’ve been sending to neighbors for the last couple of decades, since I started helping buyers and sellers get to their next destination. The changes over time are truly remarkable. In 2018, the average sales price for homes on the Eastern Shore, as a whole, reached $307,167, compared to $289,198 in 2017. That marked a 6.2% increase, topping the 6% jump the previous year. New home construction accounted for 30% of 2018 sales, representing a whopping $206 million worth of property value. n Lots of dirt and dump trucks in the Belforest area of Daphne herald the start of DR Horton’s 900-home Jubilee Plantation project. n The Bellewood subdivision on County Road 64 on the far eastern edge of what’s considered Daphne has been given a new lease on life after it was purchased by Breland Homes in late 2018. It’s worth your time to see it. n Sprawling Lake Forest has only 28 active listings, and 20 properties under contract, as of this writing in January 2019.
n The large Spanish Fort Estates has a mere 4 active listings, and 7 properties under contract. But before then, let’s take a look back at 2018. Here’s some of the key sales data for our local area’s specific markets, both for the year as a whole, and for the final quarter of the year. Eastern Shore overall: In all of 2018, 2,165 homes with an average price of $307,167 sold compared to 2,109 homes with an average price of $289,307 in 2017. Days-on-market dropped to 50 days in 2018, although the formula for deriving that figure was tweaked by the Board of Realtors to represent the time from listing to contract rather than listing to closing. In 2017, it was 127 days. Sellers trimmed 2.7% off their list prices in order to sell, the same as in 2017. In the 4th quarter, 447 homes sold on the Eastern Shore, compared with 424 in the 4th quarter of 2017. Average sales price dipped to $302,586 from $313,289. But the list-to-sale percentage improved to 3.3% from 3.8%, while days-on-market went to 54 from 99. Spanish Fort: (This 36527 Zip Code includes some areas in Daphne and Loxley) 477 homes sold in 2018 with an average price of $295,183, up from 438 sales with an average price of $279,440 a year earlier. Sellers took 3% off list price in order to sell; a year earlier, they trimmed the list price only 1.9%. Days-on-market dropped from 146 in 2017 to 61 days in 2018. In the 4th quarter, 97 homes sold with an average price of $291,440. That was up from 81 sales with an average price of $287,681 in the 4th quarter of 2017. Sellers took 2.8% off list in order to sell, while a year prior they took off 1.8%. Days-on-market went from 101 to 67. Daphne: 873 homes sold in 2018 compared to 827 homes in 2017. Average sales price rose from $240,430 to $249,884. List-to-sale percentage was little changed from 2.2% in 2017 to 2.1% in 2018. The “Wow!” number was the drop in the time needed to sell: 47 days, compared to 124 days in 2017. In the 4th quarter, Daphne enjoyed 171 sales, a jump from 157 in the same period of 2017; average sales price stood at $246,012, down from $261,695. In 2017, sellers settled for 3.7% less in order to close; that number dropped to 2.4% in 2018. Days-on-market was again a “Wow!” – It dropped from 111 days to 41. Fairhope: (This municipality enacted a 9-month building moratorium for certain new construction that ended in September 2017). 815 homes sold in 2018, a decline from the 844 sales in 2017. But sales price rose from $367,992 in 2017 to $375,540 in 2018. In 2017, sellers took 3.4% off list in order to sell; in 2018, they took 3.7%. Days-on-market dropped from 119 to 48 days. In the 4th quarter, 179 homes sold in Fairhope, compared to 186 in the same quarter in 2017. The average sales price also ticked down slightly: from $367,992 to $362,671. But sellers didn’t trim as much off their list prices in order to sell as a year earlier: 4% vs. 4.4% Days-on-market dropped from 89 to 56 days. Another stellar quarter for home sales on the Eastern Shore with prices up 7.3% compared to this time last year. The number of single-family homes sold rose 10.6% in Spanish Fort, Daphne and Fairhope compared to the 3rd quarter of 2017. The cheapest home sold was a cute 480-square-foot cottage in Fairhope that sold for $62,500; the most expensive, a 4,333-square-foot bay front home, also in Fairhope, that went for $2,325,000. The latter was one of six $1 million-plus sales in Fairhope in the 3rd quarter of 2018. Before we get to the numbers: The Baldwin County Association of Realtors’ multiple listing service website has changed the way days on market (DOM) are calculated. Previously, this numbers started the day the property was listed and ended the day it was closed. Now, it freezes upon accepted offer time when the property is put in as a pending sale. However, the time it takes to sell -- start to finish -- is shrinking. Eastern Shore: 594 single-family homes sold, with an average price of $300,778. In the 3rd quarter of 2017, 537 homes sold with an average price of $280,216. Sellers settled for 2.6% less than list price in order to sell. Homes were actively marketed on average 43 days before going under contract. Fairhope: 214 homes sold with an average price of $367,421 (very much skewed by the $1 million-plus sales). This time last year, 205 homes sold with an average price of $327,510. Sellers took 3.6% off list price in order to sell. Days on market stood at 46 days. Daphne: 255 homes sold, compared to 224 sales this time last year. Average sales price rose to $250,620 from $239,013 in the 3rd quarter of 2017. Sellers trimmed 1.9% off list price in order to make a deal. It took on average 35 days from list to contract. Spanish Fort: 124 homes sold with an average price of $300,778. This compares to 108 sales with an average price of $275,905 this time last year. Sellers settled for 2% less in order to sell. And days on market stood at 54. Home sales on the Eastern Shore are cruising ahead, keeping pace with this time last year almost exactly. With a notable exception: The average sales price is up 7.3%! That’s a large indictor of a market that is steadily tightening in the sellers’ favor. * New homes represented 32% of all sales in Spanish Fort, Daphne and Fairhope. * The time it took to sell – “days-on-market” -- dropped to under three months, from more than four months at the same time in 2017. This year, the reporting of days-on-market freezes at the point that a house goes under contract, eliminating the closing or escrow period. Still, this drop is certainly eye-catching. Eastern Shore as a whole: 670 single-family homes sold with an average sales price of $311,033, compared to 671 sales with an average price of $289,893 during the second quarter of 2017. Sellers trimmed an average of 2.3% off the asking price. And days-on-market tumbled to 88 days from 135 days. Spanish Fort: 146 homes sold, compared to 147 sales in the same period last year. But the average sales price (largely fueled by new construction in this ZIP code) jumped to $301,087 from $282,679. On average, sellers took 1.55% off their asking price. (This number is very likely affected by new construction where few discounts are given). Days-on-market dropped to 94 days from 148 days. Daphne: 283 homes sold, up from 261 sales this time last year. Average sales price also jumped, to $265,466 from $237,341. Sellers settled for 2.2% less than list price. And the time it took to sell dropped to 91 days from 134. Fairhope: 241 homes sold, down from 263 sales in the second quarter of 2017. But the average sales price rose to $377,430 from $346,115. Sellers trimmed 2.9% off list in order to close. Days-on-market was the Eastern Shore’s shortest: 81. That figure was 125 days at this time last year. Eastern Shore home sales shot up 41 percent in June, but a dip in pending sales points to the typical mid-summer slowdown. So here’s what’s happening in Spanish Fort, Daphne and Fairhope. Total: 296, up from 209 in May. Average sale price: $310,009, up from $299,327 in May. Median sales price: $259,650, down from $268,790 in May. List to sale percentage: Tightened up with sellers getting 97.9%, compared to taking 97.1% in May. Of all the things one might replace on an existing home, a roof would be last on the list of costly updates that make you want to bask in its wondrous pattern, or admire its fine color. Really, a new roof is nice, but, at that cost, I could pay for three vacations. Still, something has crept into the roofing industry since 2009 that is increasingly making homeowners take a second look at the old roof. It’s the Fortified roof that saves homeowners money and grief. A little background: After Hurricanes Ivan and Katrina, coastal homeowners were choking on bloated insurance rates, so various industry and government folk set out to see what could be done about it. Building standards were the focus, and out of that came the Insurance Institute for Business and Home Safety (IBHS), a nonprofit that tests construction methods against natural disasters – winds up to 130 mph, wildfires, hail and so on. It established three levels for Fortified homes: Bronze, which bolsters the roofing system; Silver, which goes further to brace gables and columns, and Gold, which secures the structure from foundation to chimney. Buyers of new homes constructed to the Gold Fortified standard find that their insurance premiums are shockingly, delightfully dirt cheap. Like $800 for a 2,500-square-foot home. But a homeowner must have the certificate indicating the level of fortification in order to receive the discount, says insurance agent Glen Gorowsky. This piece of paper is the equivalent of a college degree for a home and, like that education, it is not obtained without money, study, research and examination. “Don’t close without that certificate because you’ll need it to prove to your insurer that the roof is fortified,” Gorowsky cautions new home buyers. When it comes to retrofitting existing homes, the process is a bit more involved and it depends upon the age and construction of the home. I asked these folks about the process: (1) Alex Cary, fortified coastal programs manager for IBHS; (2) Lad Drago, a State Farm agent; and (3) a roofer with 39 years of experience who requested his name not be used for my report. First you need to have the home evaluated, Cary said. A list of inspectors is on SmartHomeAmerica.org. The cost of this evaluation is $75 to $300. Then you’ll need to contact a roofer who is able to follow through with the smart home process, including photographing the work and other important documentation. The roofer says that going for the Bronze standard may add $1,500 in materials and labor to a roofing job. So homeowners should examine the additional cost vs. the insurance savings. And homeowners should know that this fortification certificate is good for only five years. The cost to renew it is $500. One big positive about having a Fortified roof is coming home after a hurricane to a sound roof, both Drago and Cary point out. Additionally, a Fortified roof that withstands a major wind storm saves you the deductible and other out-of-pocket costs. Will Spanish Fort school zones change? No. 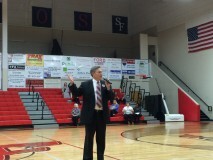 That was the unequivocal answer from Baldwin County School Superintendent Robbie Owen at the Jan. 20 Spanish Fort Education Summit at the Spanish Fort High School gym. Currently, the Spanish Fort school feeder pattern encompasses four neighborhoods in the Daphne, Ala., city limits, as well as unincorporated areas of Spanish Fort in neighborhoods north on Hwy. 225. Some of these areas north of the city limits have Bay Minette telephone exchanges, as well as mailing addresses. Parents have recently voiced concerns that as enrollment swells and the portable classroom count grows that the school zone will be redrawn to funnel students who are not living in Spanish Fort proper to other zones. Owen specifically addressed both the Daphne subdivisions and unincorporated areas. “No rezoning. No one’s going to be moved,” he said. The news was met with applause from the crowd of about 200 parents and teachers. Owen’s comments came in a meeting to push for an 8-mil property tax increase to fund the capital construction plan. The tax increase will be up for a vote on March 31. The Daphne subdivisions that are zoned for Spanish Fort schools are TimberCreek, Historic Malbis, Bay Branch and Plantation Hills. Some of the subdivisions on Hwy. 225 include, Delta Woods, Saluda and Bromley Woods. By Janet English. © Janet English Unauthorized use and/or duplication of this material without express and written permission from this blog’s author and/or owner is strictly prohibited. Excerpts and links may be used, provided that full and clear credit is given to Janet English and "Will Spanish Fort school zones change?" with appropriate and specific direction to the original content. Give me 2 minutes of your time and I may save you money -- or heartache. I saved $1,100 on my homeowner’s insurance. Interested? I also incurred more financial risk should catastrophe strike. That’s what I learned when I talked to two of my favorite go-to guys who sell insurance in Fairhope, Daphne and Spanish Fort … and beyond. But first, let’s talk about my last insurance carrier, Wilshire. The policy was written by a Mobile insurance company in 2011 for $2,556. When my renewal notice arrived in April, the cost was $3,499, roughly a $1,000 increase in 3 years. When I called the local office about the increase, let’s just say their explanation was unacceptable. Enter Glen Gorowsky, an independent agent, and Lad Drago of State Farm. “People need to shop around at least on a yearly basis,” Gorowsky says. “If your insurance renews between May and say October, it’s good to try and shop it in the first quarter of the year and try to have your renewal happen in the first part of the year before hurricane season starts. Both Drago and Gorowsky say there’s more to the policy than just the annual fee. “I find a lot of people that have high percentage deductibles, and they’re really not saving that much. So their exposure is higher than what the savings is,” Gorowsky says. For many, it will come down to how much risk you want to take. Named storm coverage (hurricane deductible) vs. wind and hail:Most carriers offer an a la carte menu of deductibles to choose from. Get out your calculator when you make those decisions. Gorowsky says you may find that a savings of $200 a year could cost you $15,000 if and when any wind deductible kicks in.“For five years, we weren’t writing wind,” Drago says. During that time, State Farm, like other carriers were offering what’s casually known as “fire,” and then going to the “beach pool” to cover wind. Drago says State Farm is again writing policies including wind and hail south of I-10 in selected areas. To be clear, State Farm offers named storm coverage vs. just wind and hail, which is more desirable but a bit more costly. Basically, you incur more risk as a homeowner if you choose the wind/hail deductible vs the named storm coverage, which is just confined to well, named storms, not just those terrible thunderstorms of late. Over the last few years, I’ve come across homeowners well inland who have elected to go into the beach pool, or the Alabama Insurance Underwriting Association. That raised the hairs on the back of my neck and now I know why. Contents are always a depreciated cost. Other structures – fences, decks, detached garages, boat docks, etc. – are not covered. And it doesn’t come with personal liability coverage in the event someone is injured on the property. Replacement value:The price per square foot of new construction is a better barometer for true replacement cost if your home burned to the ground. “Replacement cost may be higher than market value for older homes,” he says. “Some people run the risk of being under-insured,” Gorowsky cautions. That’s because they confuse replacement cost vs. market value. Ok, here I backtracked and had to add to my policy to cover a second garage and deck to the tune of $189, shaving my savings to roughly $900 a year. Tip: Photograph or video tape your contents, upload and then email them back to yourself so you have a record of what you have. Drago urges homeowners to examine their contents coverage. State Farm covers contents based on 75% of the home’s value (i.e. $300,000 for contents for a $400,000 home). The industry in general: In fact, some were advised that they didn’t need flood insurance. Please, folks, don’t rely on “experts” to give you a pass on flood insurance. Use common sense if you’re near a stream, creek or an area where water rushes through or collects and get flood insurance. Finally, with the recent storms and flash floods, we all heard stories of people whose homes were flooded in areas that had never experienced that before. New construction, meeting higher building code requirements, has very attractive insurance rates. State Farm has written policies on $400,000 homes on the eastern edge of Spanish Fort and parts of Daphne for as little as $1,900, Drago says. Spanish Fort Fire Rescue has improved to a Class 3 ISO Rating. This apparently applies to homeowners within a 5-mile radius of the station, according to independent insurance agent Glen Gorowsky. Homeowners may receive a reduction in insurance rates, but to be sure that the change is noted, homeowners should contact their insurers. Spanish Fort get second grocery ... and the crowd goes wild! Rouses, a Lousiana-based grocery, opened its Spanish Fort location on Feb. 22 to a packed house. 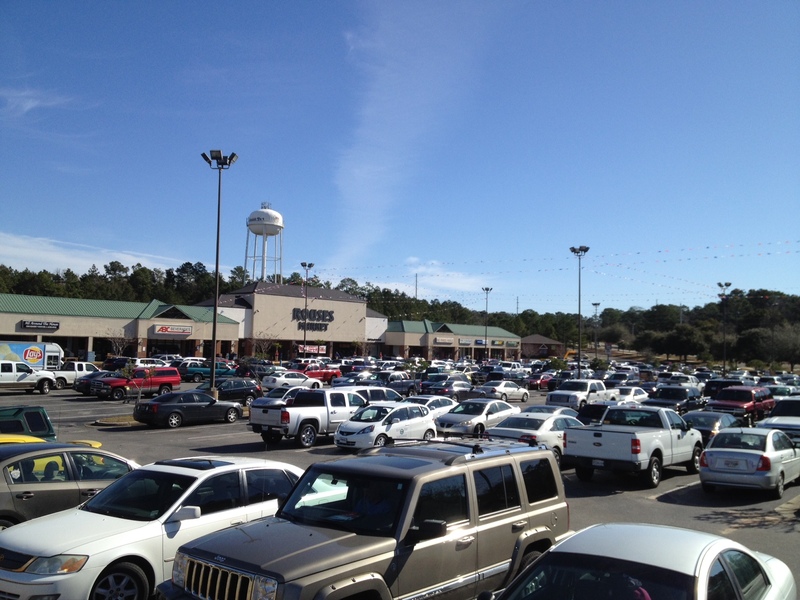 Many residents of Spanish Fort had been forced to shop in Daphne or at the Publix near the Eastern Shore Centre since Bruno's closed its doors in November at the Hwy. 225 & 31 intersection. Throughout the weekend, Rouses parking lot was full to overflowing as Eastern Shore residents streamed in to see what the newcomer grocery to Baldwin County would offer. They found plenty of the usual, but many offerings with a decidedly Louisiana twist, from hot French bread, to steamed crawfish to ready-made gumbo or shrimp & corn chowder. Just having milk and bananas nearby was a nice thing, too. 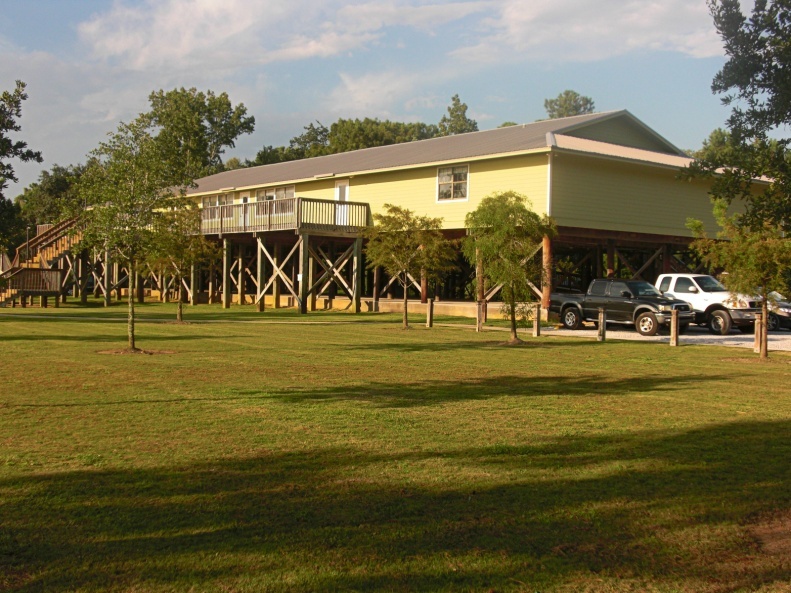 Bayfront Park pavilion overlooks Mobile Bay and is accessible by taking U.S. Hwy. 98 South to Scenic 98, then taking an immediate right on Bayfront Drive (or Bel Air). 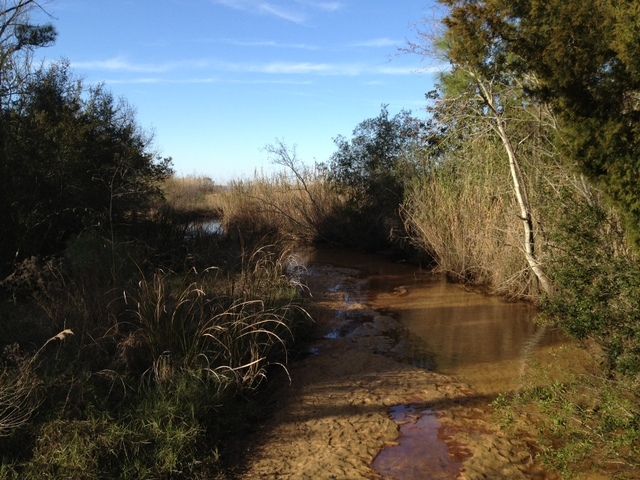 This is the perfect location for watching a pretty sunset or spending an afternoon fishing. Bayfront Park is also home to the Richard Scardamalia Pavilion, which can be rented for wedding celebrations and the like. 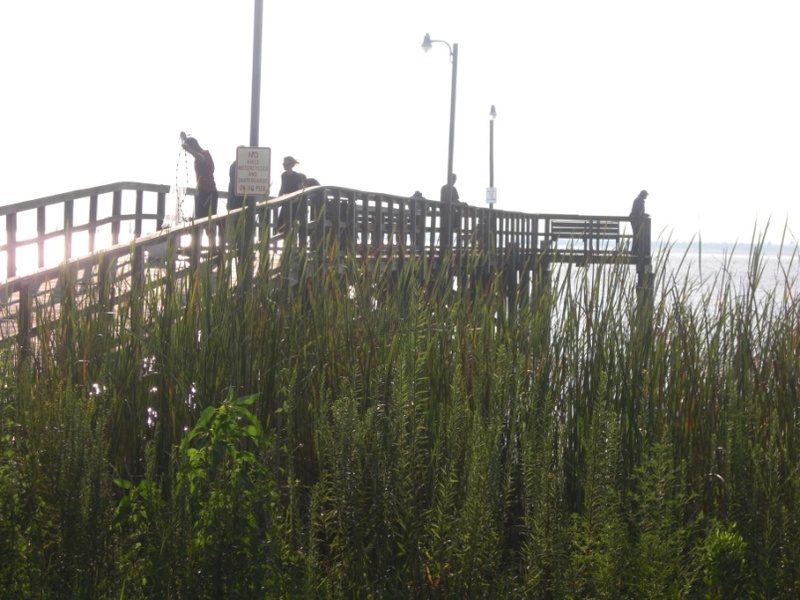 Bay front also has several nature trails and that lead to two boardwalks with bench sitting. 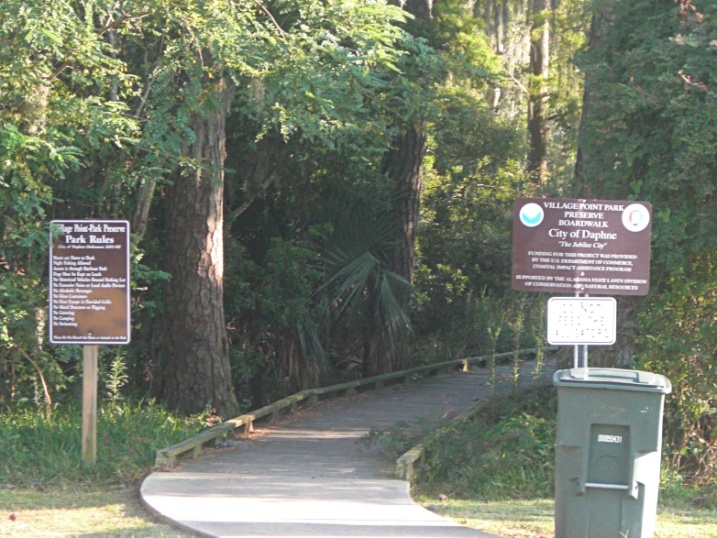 This is one park where you need to keep your dog on a leash as alligators can be spotted when in season. You can't judge a school system just by its test scores, but it sure is a good place to start. So check out the Alabama State Department of Education's Accountability Reporting System. Pick the school you'd like to research and then you'll have an option of choosing from 4 Alabama test reports, including the High School Graduation Exam, and the Stanford Achievement Test. 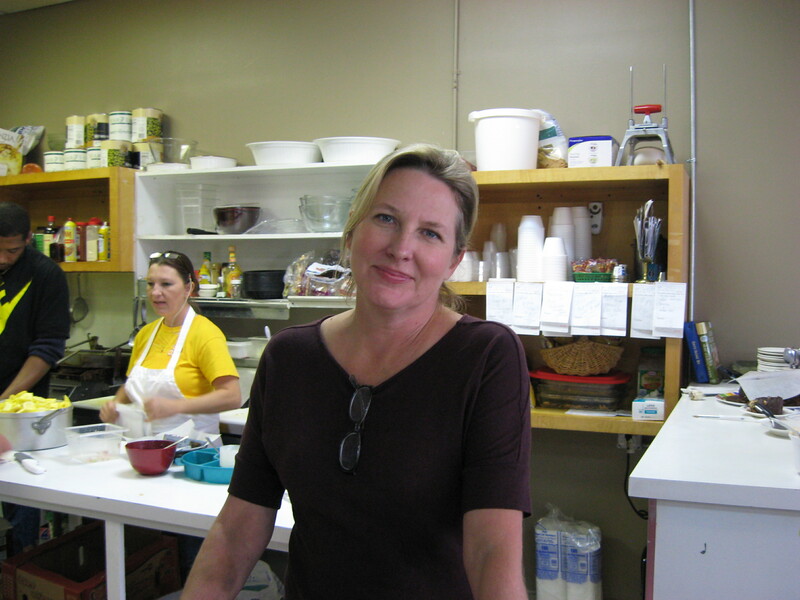 If the Eastern Shore is where Mayberry meets Maguaritaville, then Cheryl's Cafe is pure Mayberry, where regulars are greeted by name and non-regulars are soon to find something so addictive on the menu that they join the following. Unauspcious at the end of a small strip of shops at U.S. 98 and Hwy. 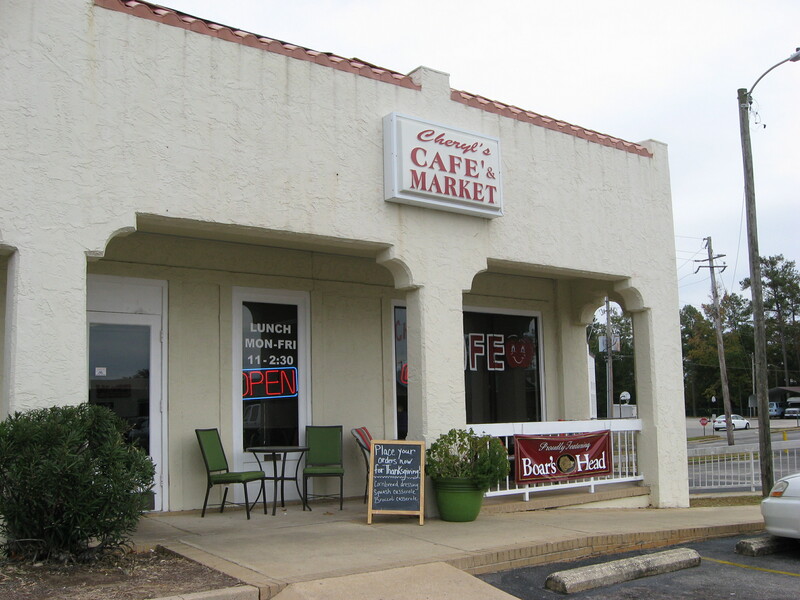 31 in Spanish Fort, Cheryl's offers a a variety of fresh sandwiches and sides, as well as a heartier host of specials that change each day. Get there too late and you may watch as your favorite is wiped off the board. What it all comes down to is that Cheryl is a very good cook, who has compiled a few secrets that simply enhance a standard dish. Chinese Chicken Salad: Ramen noodles are toasted and tossed with sheddred cabbage, lean chicken, water chestnuts, scallions, sesame seeds and an oil-and-vinegar dressing. Chicken Salad: Maybe best around. Light and refreshing with mayo and crushed pineapple (yes, Cheryl has revealed a few of her secrets over the years). 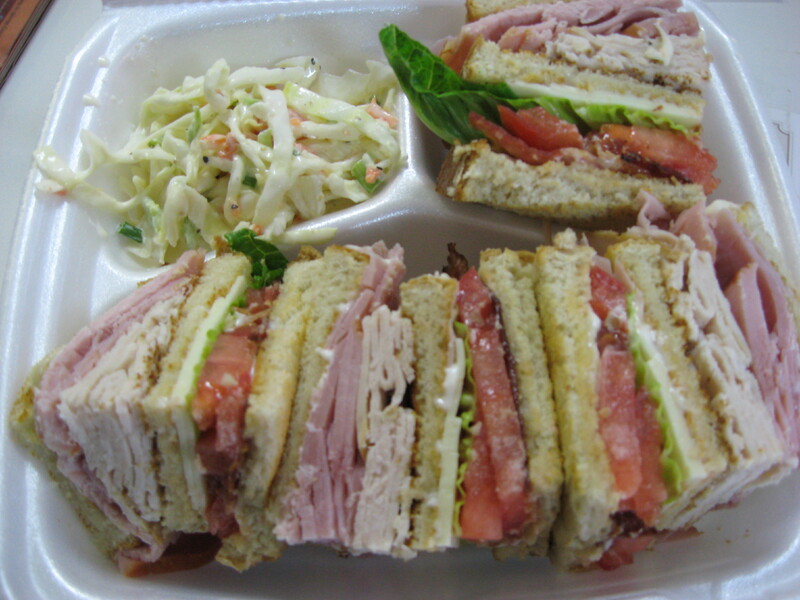 Club Sandwich: Easily feeding two, everything is fresh here from the Boar's Head meats to the tomatoes. This sandwich is so thick every bite's a challenge. Mitch's Reuben: My father's favorite, with tender, lean corned beef piled high, kraut and Thousand Island dressing on rye. Sides are pasta salad, fresh fruit, cole slaw or potato salad, all freshly prepared. 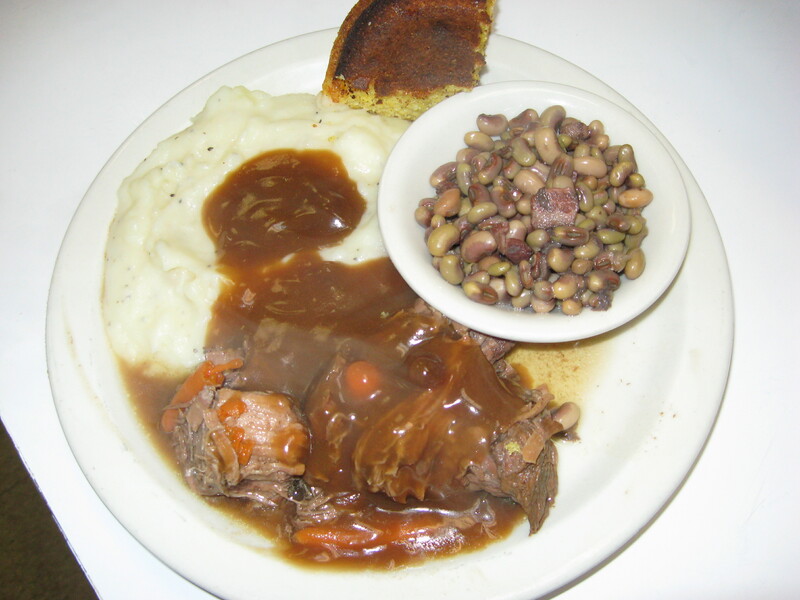 From the day's menu, you may find pot roast or chicken and dumplings, shrimp salad or crawfish bisque. Any one of these will please and you can pick from about a dozen vegetables to round out your meal. Taco salad, with fresh greens, taco meat, beans, avocado, cheese and chips topped with a sort of salsa/Thousand Island dressing. Tender pot roast with sweet green beans and a to-die-for yellow squash casserole. Cheryl has shared the secret to the green beans, but I shouldn't give everything away. Service is quick and efficient. So this is often where I stop for lunch with buyers looking for real estate in Spanish Fort or Daphne. It's snug at Cheryl's with barely enough room to maneuver between the red-and-white checked tablecloths, so this is not the place for intimate conversations. Address: 6580-D Spanish Fort, Blvd. Perhaps there's no better way to view Daphne's history and beauty than a brisk walk through Village Pointe Park Preserve, off Scenic 98. Evidence of Indians, Spanish, French and English settlers has been found in the park, and while you won't see historic replicas of these forebears, you will see the land they were attracted by. 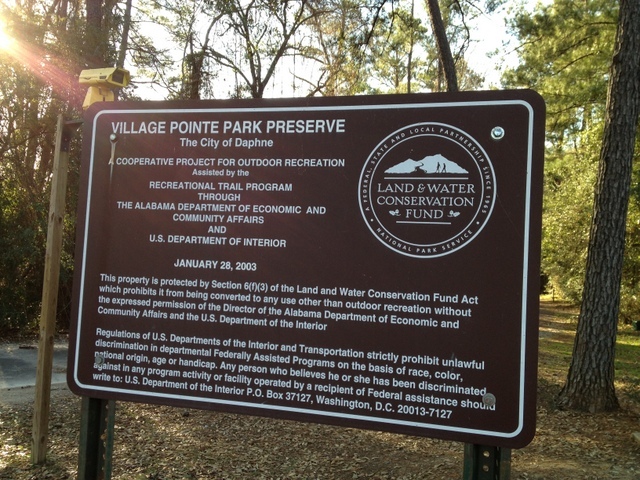 Rich with native trees, streams, tidal pools and wetlands, Village Pointe can be explored on foot or bike. 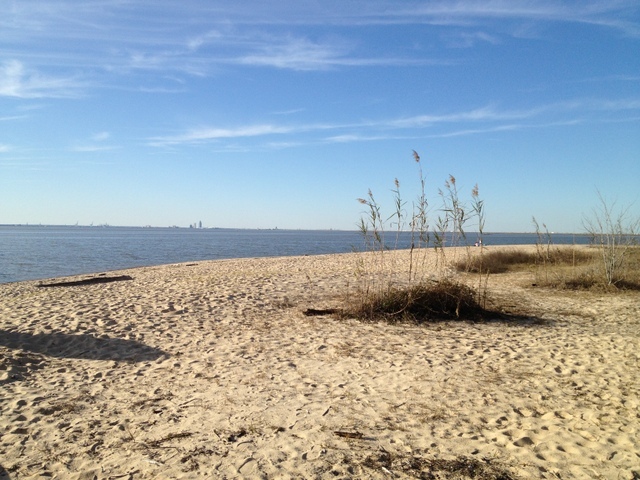 Walk the dog or grab your fishing pool or towel because at the end you'll find a fishing pier and beach with panoramic views of Mobile Bay. 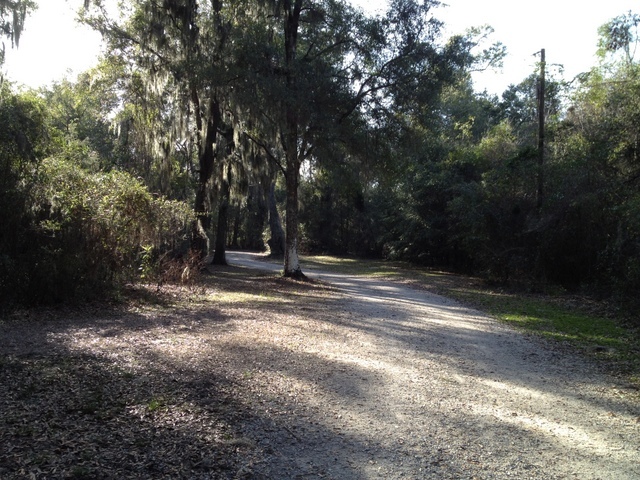 A brisk 20 minute walk past cypress knee swamps, deep forests to your final destination. Stop midway to view the Jackson Oak, some 95 feet tall and 28 feet in circumference, believed to be where Gen. Andrew Jackson addressed his troops in the War of 1812. 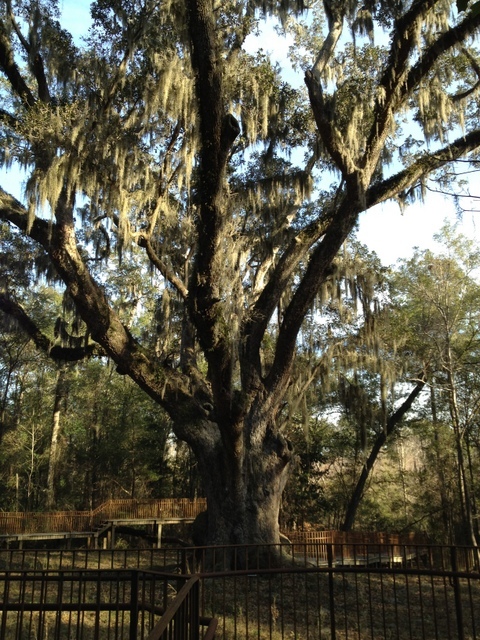 According to the park site, the oak was shown on a survey in the original Spanish Land Grant map of 1787. Even though I know this area well, it's still a wonder to emerge through the woods and find the beach.